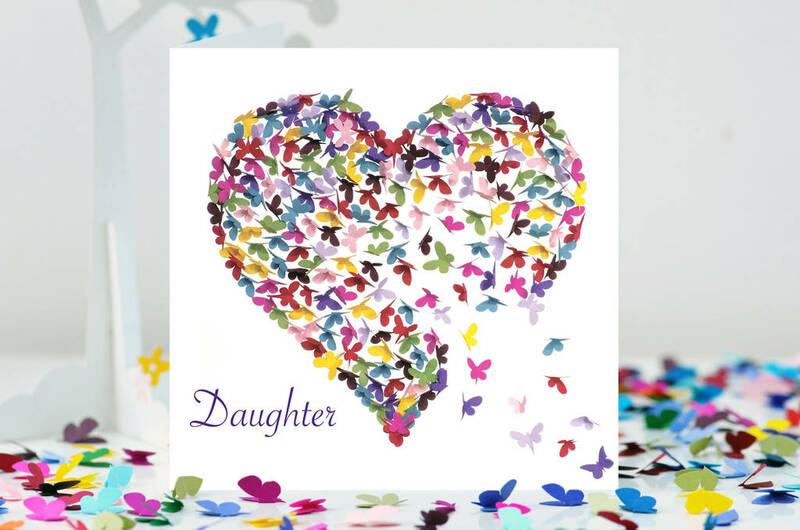 A beautiful digitally printed butterfly Mom card. The word Mom is formed from butterflies and each one represents love. 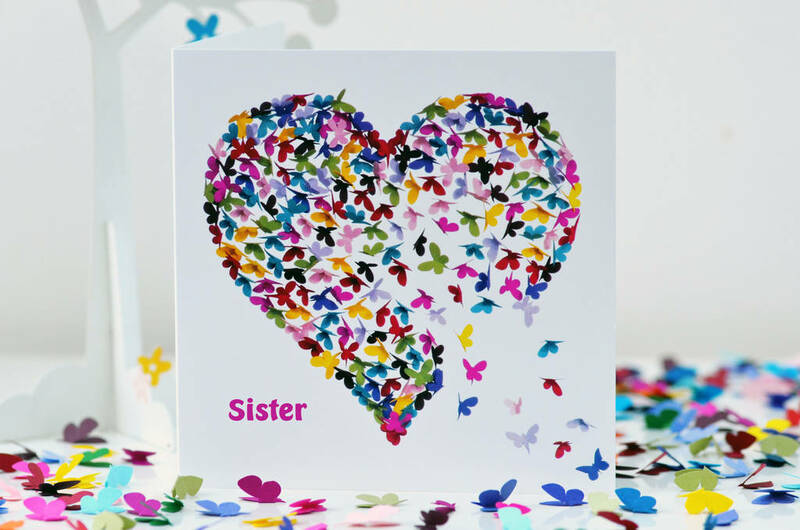 What a very special colourful card to send to as a Mom Birthday card, a Mom Thinking of You card or a Mom Mothers Day card. 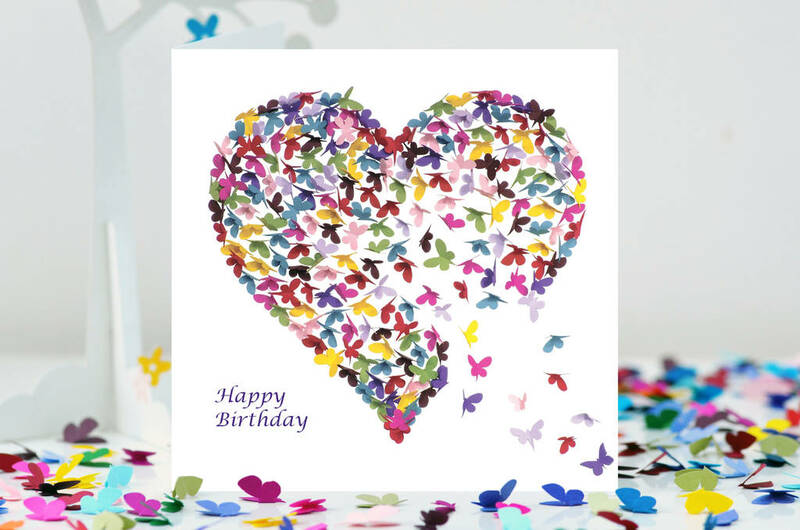 I handmake my unique butterfly art pictures and then digitalise them for my cards. This gives them a real feeling of depth and detail. 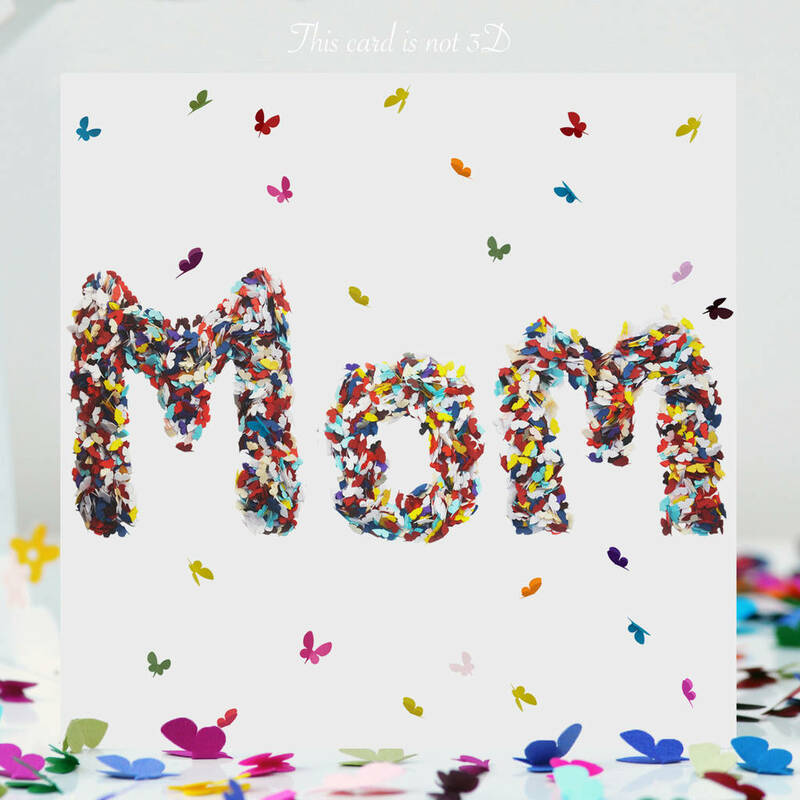 It is blank inside for you to write your own special message.